All 14 city council members who represent Queens districts received high scores on their efforts to pass green legislation in 2018, according to a report released by the New York League of Conservation Voters last week. 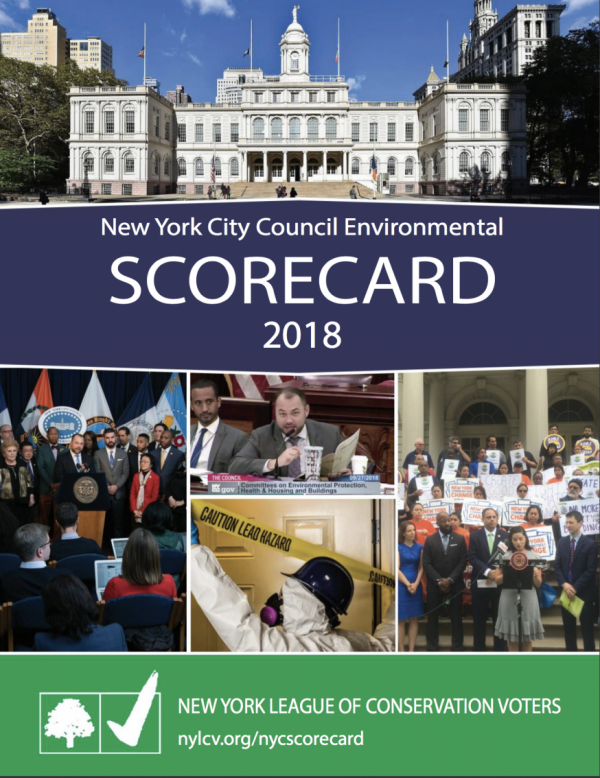 The report, called the NYC Council Environmental Score Card, evaluated all 51 city council members on their support for legislation that addressed environmental issues. Five council members from Queens received perfect scores. The league based each lawmaker’s score on the votes taken on 13 environmental bills. The league–with the help of public health and environmental justice groups–selected the bills, which dealt with combating lead poisoning, calling for renewal energy, and more. The Queens council members who received perfect scores for 2018 were Costa Constantinides, Donovan Richards, Eric Ulrich, Jimmy Van Bramer and Adrienne Adams. Twenty-one council members received perfect scores. “We are excited that so many council members support the environment and have taken pro-environmental actions as part of our scorecard,” said Julie Tighe, President of the NYLCV, in a release. Several other Queens council members scored well, including Daniel Dromm, Francisco Moya, Paul Vallone, Peter Koo, Rory Lancman, Daneek Miller, and Karen Koslowitz– scoring between 85 and 92. No Queens council members received a failing score. Only five city council members failed. What has been done about planes landing or taking off over our homes every 30 seconds? NOT even near the airport! Spewing cancer causing fumes! Oh, I forgot! The city leases the land the airport is on to the PA! Why would they kill a cash cow! Two faced! Jimmy and Danny are the worse! Complaints about noise and air pollution, even from schools, were ignored by their offices for years, and years, and years! The New York League of Conservation Voters should spend time in Woodside and Jackson Heights homes. Stand on the Roosevelt Avenue and 61st Street 7 train station. Spend time in PS 11 classrooms or in St. Sebastian classrooms. Idiots and hypocrites!! None of these politicians will change the environment. Ok? None. They all arrived to that meeting in gas guzzling s.u.v.’s. and fly out of state in smoke farting planes. At the meeting they drank water out of plastic bottles which will end up in the sewer then the ocean. They read speeches off paper made from baby trees. This is what reality is. We use products that pollute the earth every single day of our lives. We don’t want to live without those products. When we are done with those products we thow them in the garbage and sanitation dumps them in a landfill where they will decay and rot long after our oxygen mask wearing great grandchildren take their final gasping breath. Your JVC vcr and the Alladin and Space Jam videotapes and covers from decades ago still exist so does your first computer, cellphone, and printer/ scanner. They are all in a landfill leaking battery acid and petroleum based plastic juice into the groundwater and then through evaporation the rainclouds. This is life this is the world today and because of years of neglect and consumerism there is no turn around. The point of no return isn’t even in the rearview mirror anymore. It’s long gone.